Synopsis: Having taken her first steps into the Jedi world, Rey joins Luke Skywalker on an adventure with Leia, Finn and Poe that unlocks mysteries of the Force and secrets of the past. Below is my non spoiler review of the film for those who have not seen it. Once you see the movie I encourage you to read my spoiler review that breaks down more of the plot points and character arcs. Star Wars films are always well received. We, as movie goers, tend to forgive a lot of things (Jar Jar, Ewoks, early director cuts) because we adore the characters and value the franchise. It is one of only a few series in which the fans are so deeply devoted. I am one of those fans. I remember as a 10 year old exactly when and how I saw my first SW film. So a “review” of a new addition to this world is unnecessary. You are either going to see it or not. Nothing I say here will change your plans. That said, a few expectations are helpful. Does The Last Jedi answer any of the questions raised in The Force Awakens? Yes, if you believe the one supplying the answers. 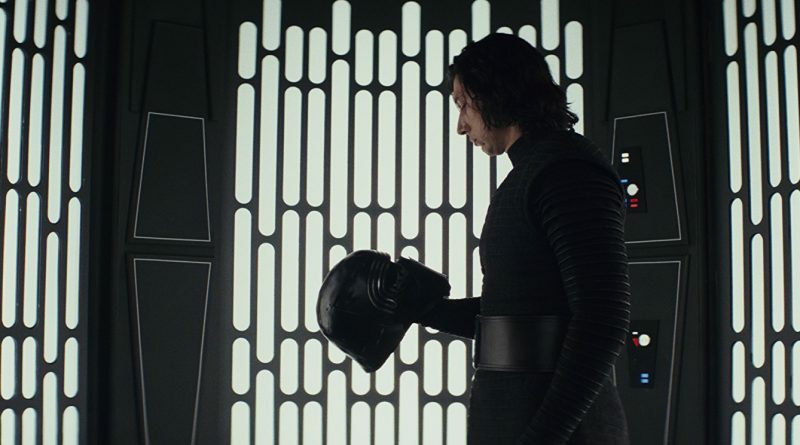 It does unpack much of the mystery surrounding Ben Solo and his evolvement to Kylo Ren (Adam Driver). Rey (Daisy Ridley) and Luke (Mark Hamill) too have many conversations that help clear up the fall of the Jedi. Is it all talk and no action? Not at all! This one is full of epic battles on multiple systems. The Starships are monstrous and the cannon fire relentless. The First Order are on their way to stamping out the Resistance once and for all. The rag tag group of rebels seem to be at the brink of annihilation and have to fight harder than ever to survive. Loss of life and loved ones are expected. Fans of ship to ship battles and hand to hand saber sparring will have much to embrace in this one. Does all this fighting and peril overshadow the humor we love in Star Wars films? Again, no. There are lots of sincere laughs in this one. The witty banter helps break the tension and distract us from the peril. The humor also stays in the Star Wars Universe. The producers and filmmakers honor the fans in that way. There is not a line out of place or an innuendo spoken to shock. You have always been able to take the whole family to a Star Wars film and this one is no exception. BB-8 can always be counted on for a chuckle and old school fans will relish the C-3PO moments too. Another wise decision in the humor department was limiting the Porgs. These silly birds that have been popping up in stores and making an appearance in the trailer could have been the Ewoks of this episode. I was worried that they would become this large component and have a vital role. But I am happy to say that they are rarely seen which makes them a welcome edition. They are cute and funny in this film because they have nothing to do. They just exist. Smart move guys, smart move indeed. The film is not perfect, though you will not care, and does have its issues. The two and a half hour run time may seem daunting but it goes fast. To be honest we always want as much Star Wars as we can get. Be ready for a lot of convenient story elements. 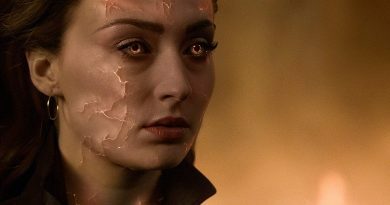 These would cause massive eye rolls in other films but again we are quick to forgive. It is ok that an entire planet blows up but one spaceship stays intact allowing our heroes to escape. If the First Order wants to take a full minute to shoot the big guns instead of doing it immediately, thus allowing a last ditch effort from the Resistance. Ok. We don’t care because we love it. There is an entire story arc that could have been removed. This I discuss in-depth in my spoiler review. This particular plot can be argued for – as my 17 year old vehemently does – but I feel like there was absolutely no need for it. But you decide. 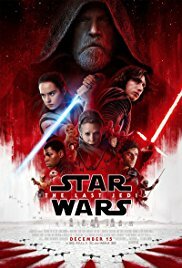 STAR WARS: THE LAST JEDI is rated PG-13 for sequences of sci-fi action and violence. It is a lot of fun in the theater and was great to see, even in the press screening, all of the T-shirts sporting the iconic title. Generations have loved this series and I am happy to see it go untarnished in a world that likes to shake up the classics. I give it 4.9999 out of 5 cloaks. Yes I am a fan.